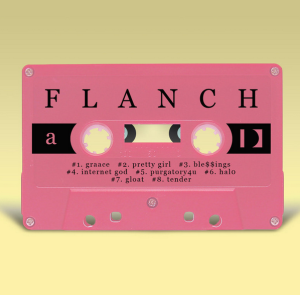 “FLANCH,” the latest release from Darling Recordings is equal parts complex and infectious; born out of a place of conflicting ideologies from writer and producer Peter Timberlake with co-production from Ben Peterson and contributions from artists such as Indianapolis rapper Devin Dabney, Chicago-based musical theatre singer and actress Krystal Worrell, Los angeles-based “Trackless” frontman Jeremy Jones, Bloomington singer-songwriter Stone Irr and local Indianapolis rap star Sirius Blvck. The album itself, musically, combines hard-hitting rap verses, moments of melody, ambient and noise tracks, a blend of human and inhuman sounding voices and seconds of deliberate silence. 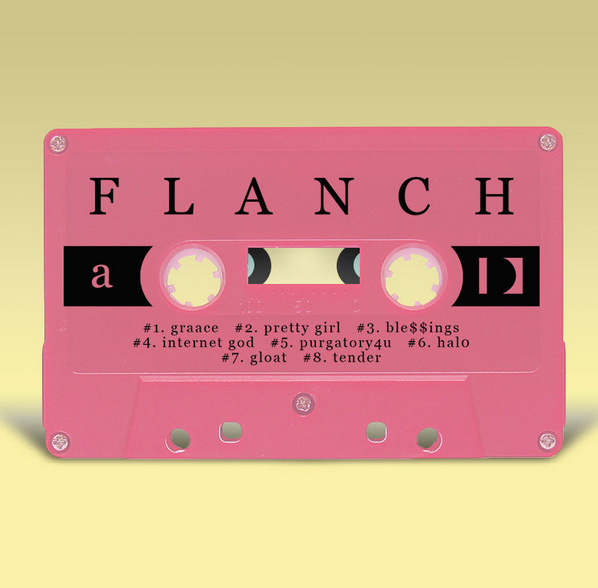 Listened to out of context, “Flanch” is an undeniably solid avant garde rap album; each track on the album is arranged, performed and produced deliberately and could stand alone as an audio art-piece, but to listen to the album without context simply does not do this project justice. With this context in mind, the album takes on a whole new layer of complexity and depth on top of the melded fusions of genre that combine so beautifully in this project and make it already so unique. The background foundation of this album is what makes it not just a first-class avant rap project, but rather into a musical tableau depicting the wrestling intersection of clashing dogmas which must somehow reconcile within themselves. “I think a lot of people have a complex relationship to religion, which can’t be very cleanly described, and I think those will be the people who have a special relationship to the project,” Timberlake says, but rest assured, even for those who have not shared this same dilemma, “FLANCH” remains an album full of hot tracks with complex musicality, solid beats and hard-hitting lyrical delivery.